If problems like arthritis are making it difficult for you to get in and out of your car, you might want to consider having it adapted to better suit your needs. This also applies to wheelchair users. Leasing a Mobility Contract Hire Scheme car gives you the freedom to make these adaptations, and this can have a significant effect on your mobility. Many of these adaptations are fitted alongside normal controls, so other members of the family can still drive the car. If controlling the speed of the car using the foot pedals poses problems, hand controls can be fitted next to the steering wheel instead. These work in the same way as the brake and accelerator pedals, but are controlled by your hands instead. When you're buying a speed or steering adaptation, make sure that the one that you buy is going to be comfortable and easy to use. Pedal guards are useful if you're concerned about accidentally applying pressure to the pedals. The big drawback of this type of adaptation is the need for a full automatic car, and this may require you to buy a new car. If this is the case for you, see our article on Car Purchasing and the Motability Scheme for more information. If turning the steering wheel is problematic, push-pull devices can be added to the steering wheel to make this easier. You can also have a steering wheel ball fitted. Some adaptations can help you to turn the ignition key, manoeuvre the handbrake and gear stick, and turn indicators, lights, wipers and the horn on and off. These can be positioned on the hand controls or single pad with multi-functions. Again, it's vital to make sure that they are easy to use and don't require you to exert yourself (otherwise there is little point to them!). Some adaptations can take away the need to manually lift powered scooters and wheelchairs into vehicles. These systems allow them to be stored in the vehicle or on the roof. Most systems are operated manually or by remote control. The type of system that you need will largely depend on your individual requirements, so it's a good idea to discuss these with an installer to make sure that you get the right system for you. 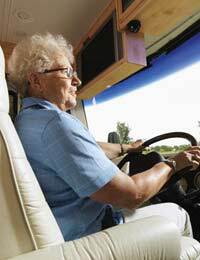 Some adaptations can make travelling in vehicles more comfortable. The most common of these is a swivel or rotating seat. Electronically adjustable seats are also an option. This can be done on existing car seats by a Motability accredited adaptation company, and can be of great benefit if you struggle to bend down properly. Some adaptations can be transferred between cars, but this isn't always the case for some adaptations (for example, hand controls). Some adaptations don't cost you anything extra, but Motability can offer some financial assistance if you can't afford your desired adaptation(s). This usually covers the least expensive item only, in which case you still have to pay for the other item(s). Check the Motability price scheme for more details on the costs.